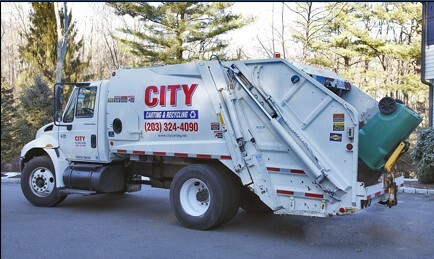 City Carting & Recycling began its dedicated involvement with recycling services in 1990 with the opening of one of the first conveyorized fiber waste sorting facilities in the Connecticut area. Today, City Recycling boasts it’s covered, highly automated, 40,000 square foot fiber and commingled recycling facility located in Stamford. City Carting Stamford has a permitted daily capacity of 1,000 tons a day and accepts MSW, C&D, and recyclable fiber materials. The plant includes a highly mechanized sorting and baling system for paper and cardboard that is sold on the open commodities market while MSW is baled and shipped to landfills. Container maintenance, including 24/7 emergency compactor repair, is a well established in-house function at City & Recycling. They also provide assistance in the design of container placement including fencing and pad specifications as required by local health department codes.